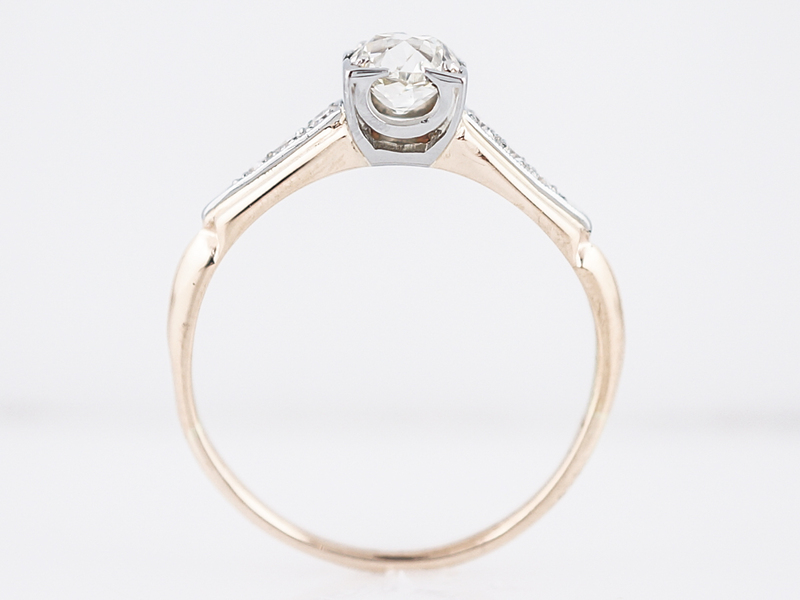 This 1940’s stunner is a Retro solitaire engagement ring with both yellow and white gold, a hallmark of the period. 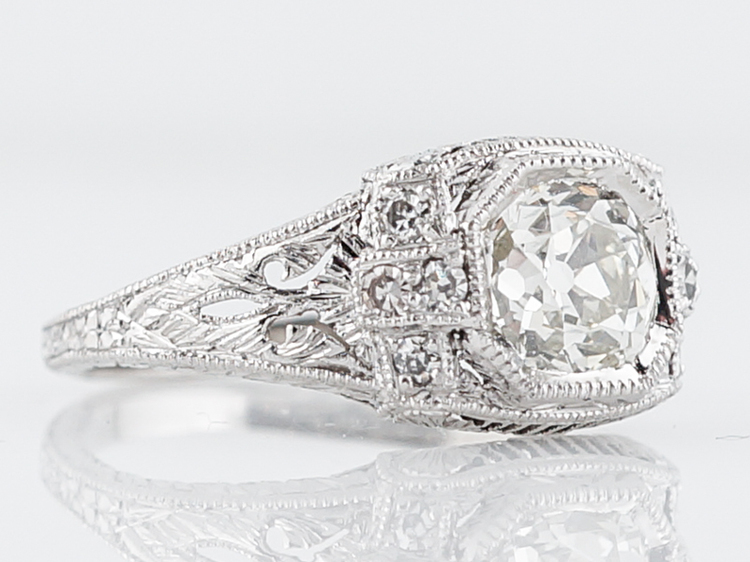 The ring features a .68 old European cut diamond at its center that is held by four square prongs that lend to the linear feel the of ring. 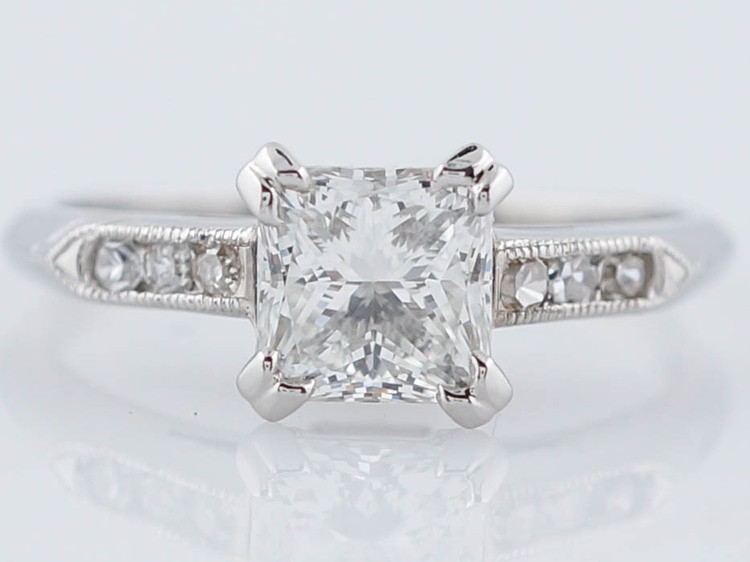 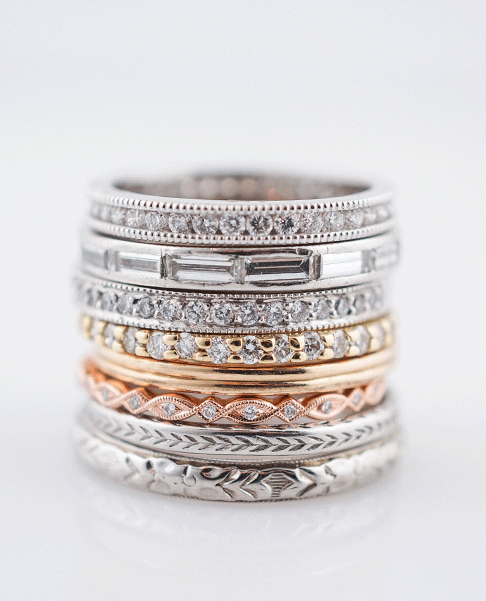 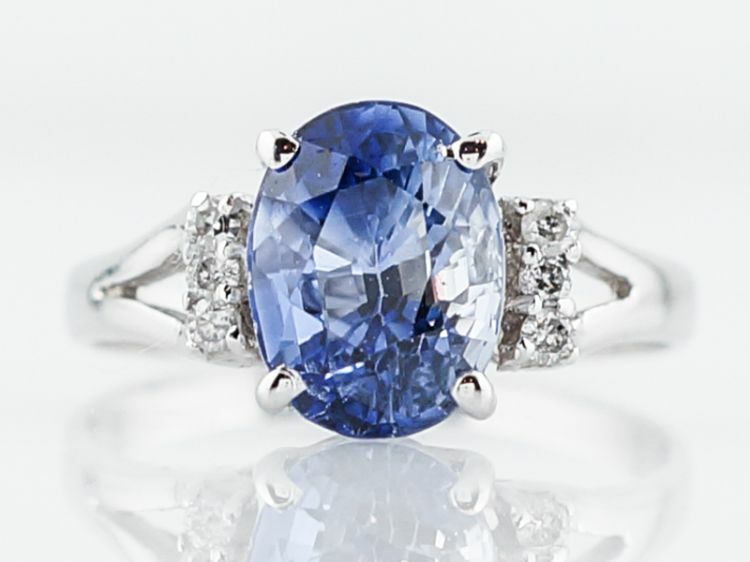 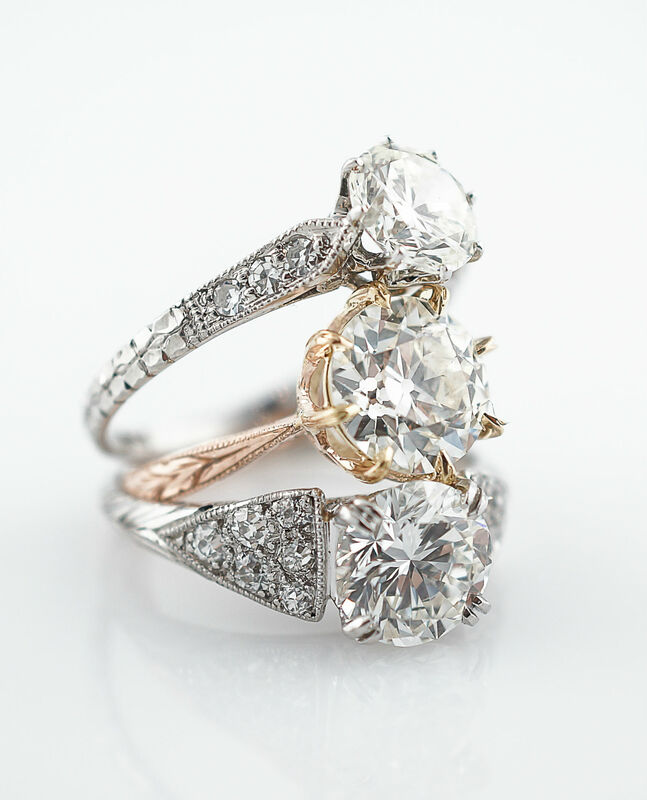 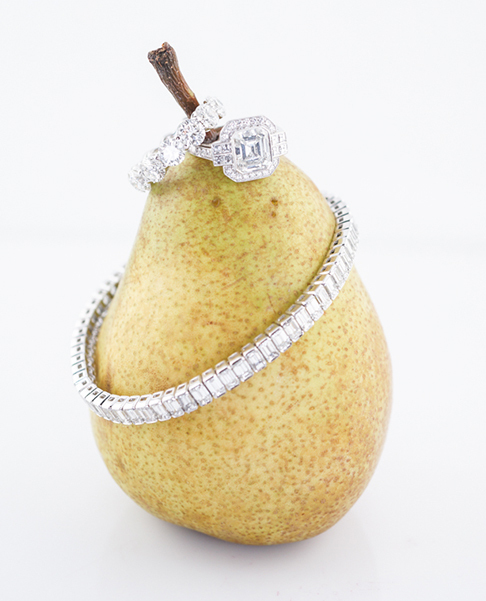 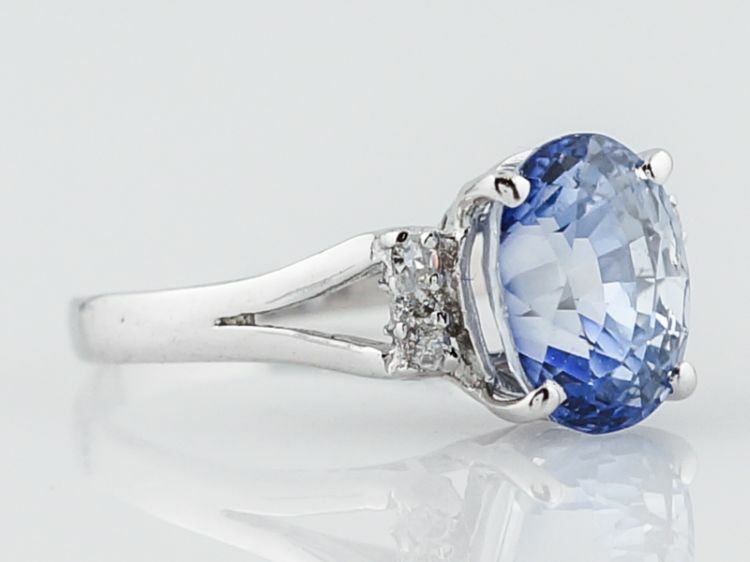 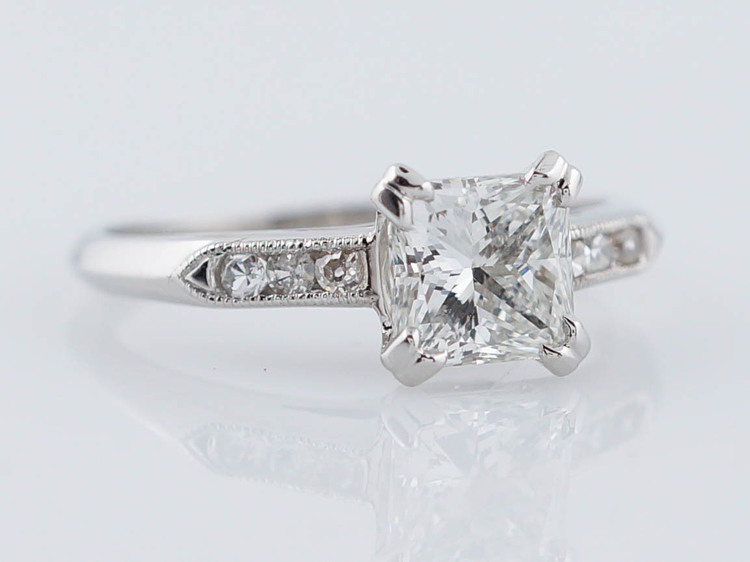 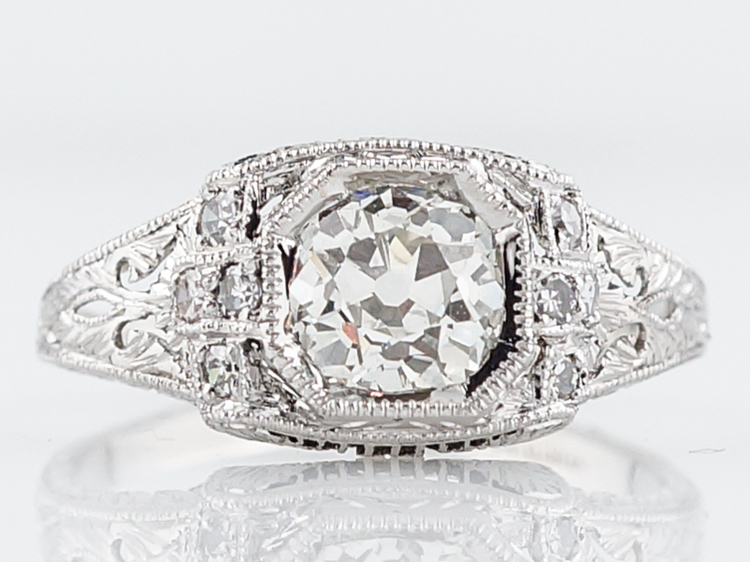 The center stone is accented by three single cut diamonds on each side, each set framed in with white gold. 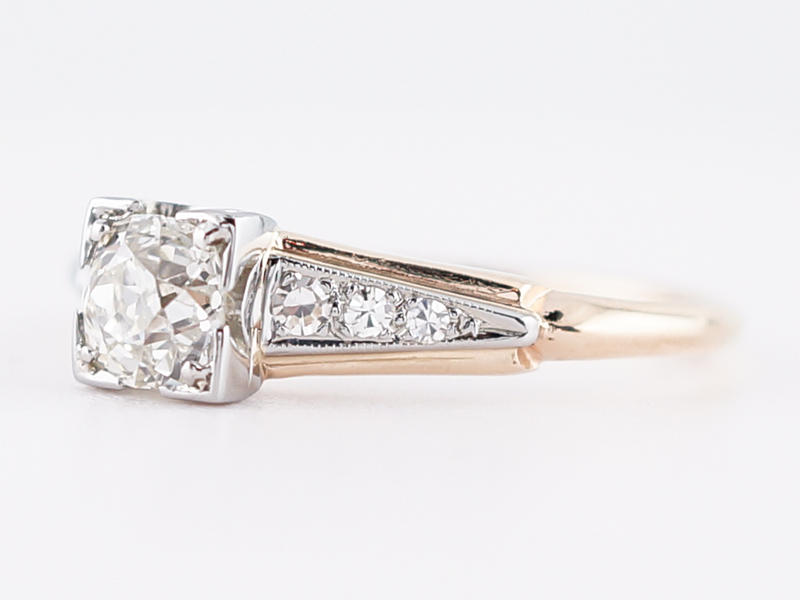 The shank of the ring is a buttery 14k yellow gold that provides a gorgeous contrast to the whiteness of the diamonds and the metals. 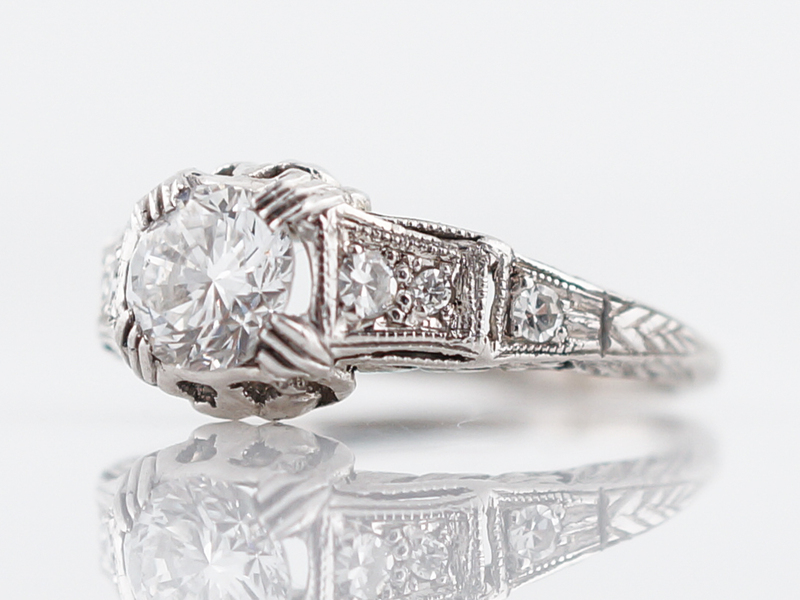 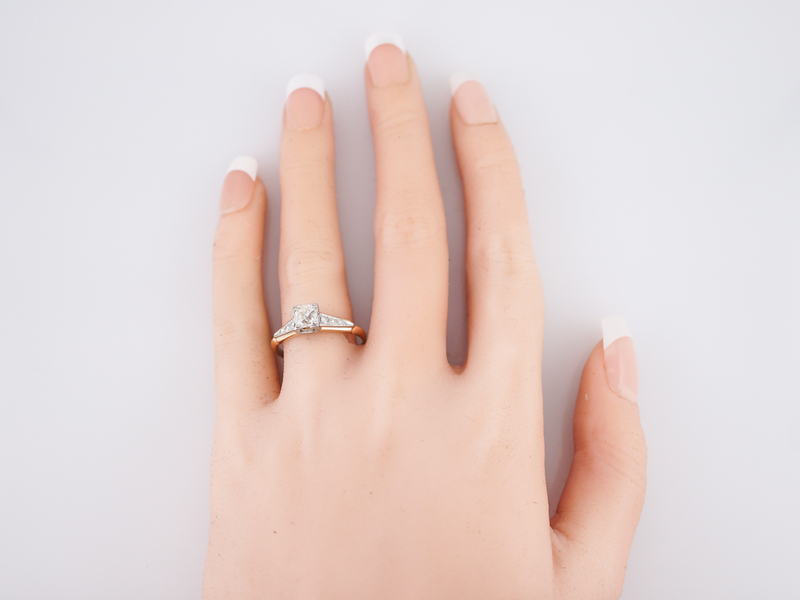 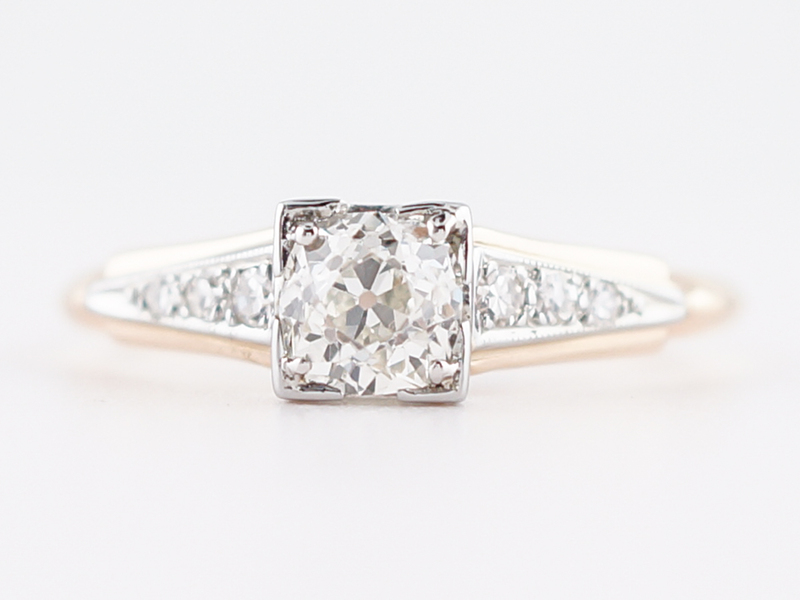 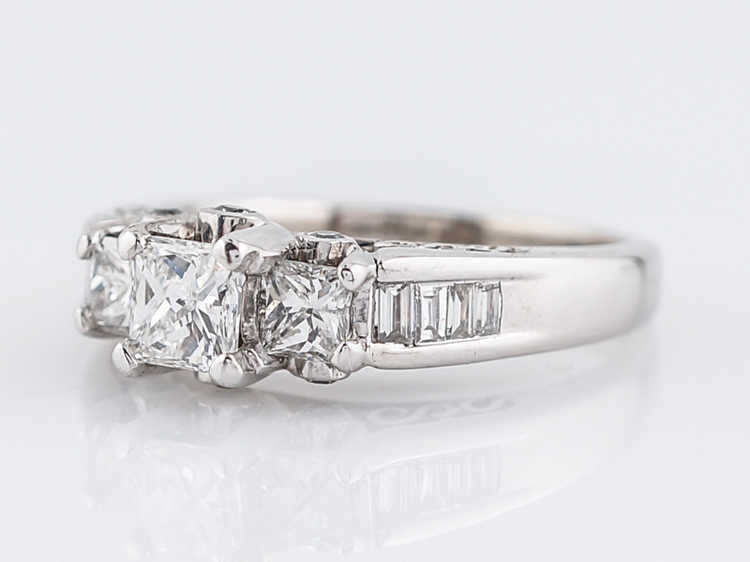 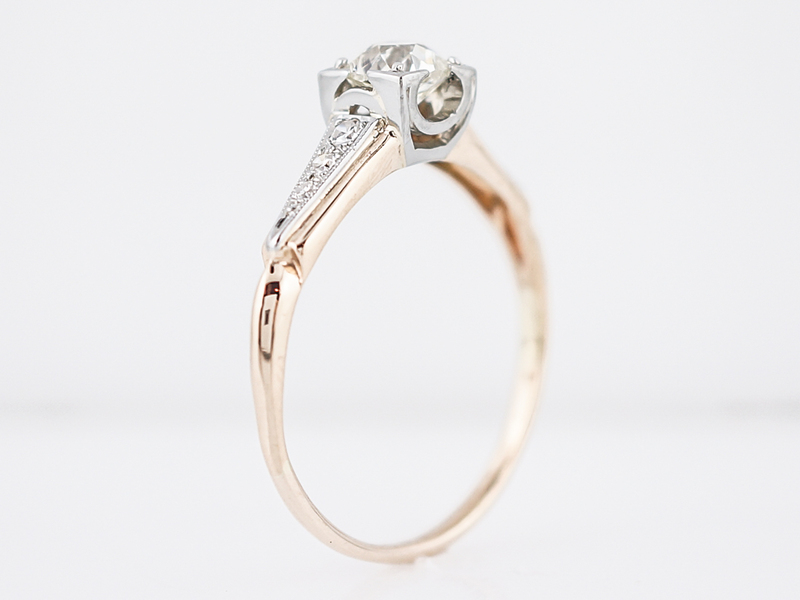 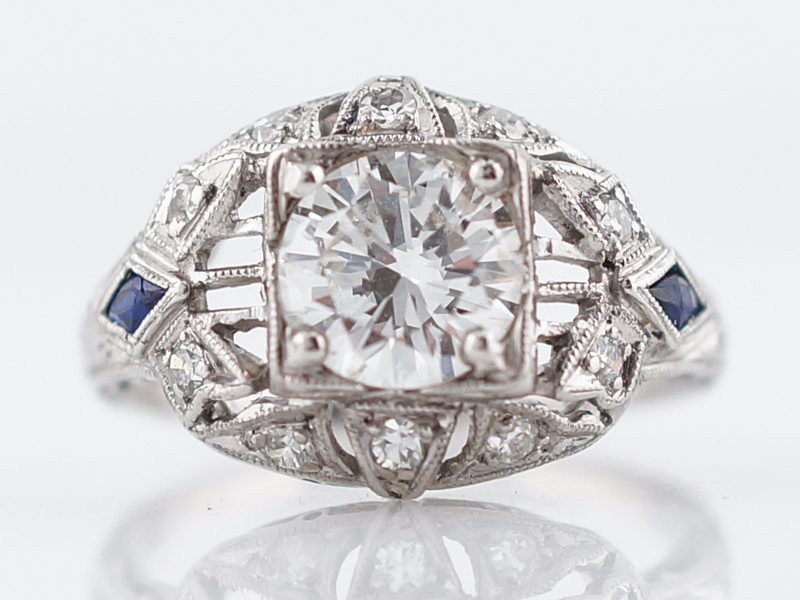 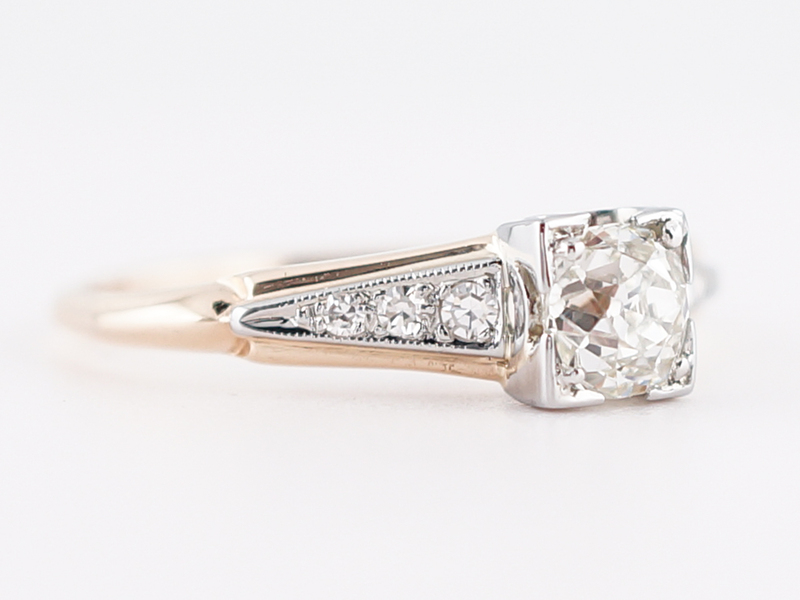 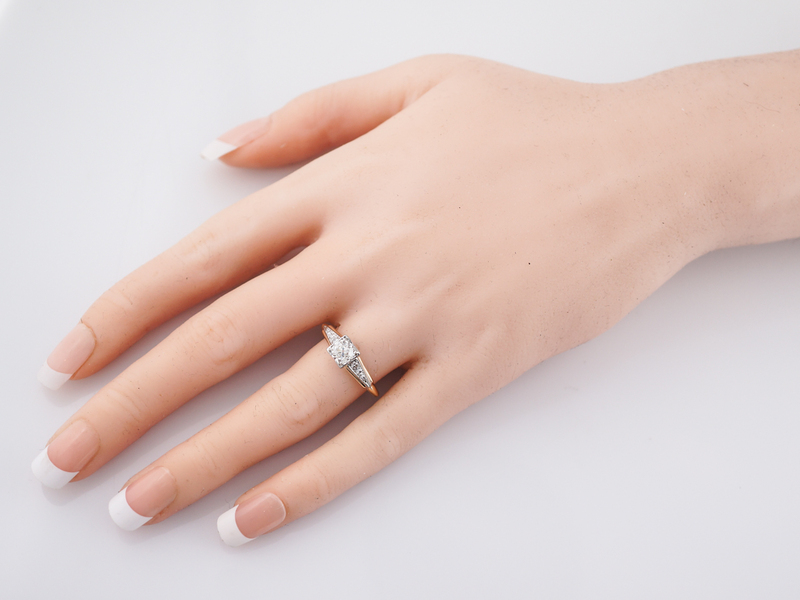 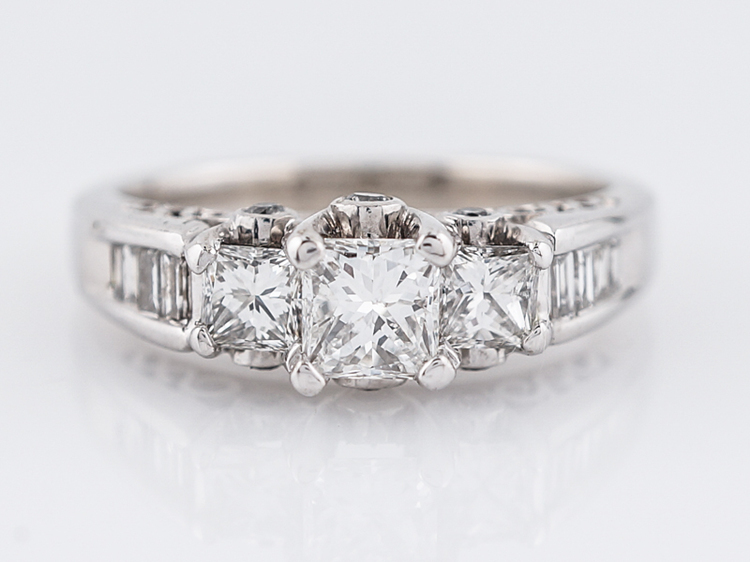 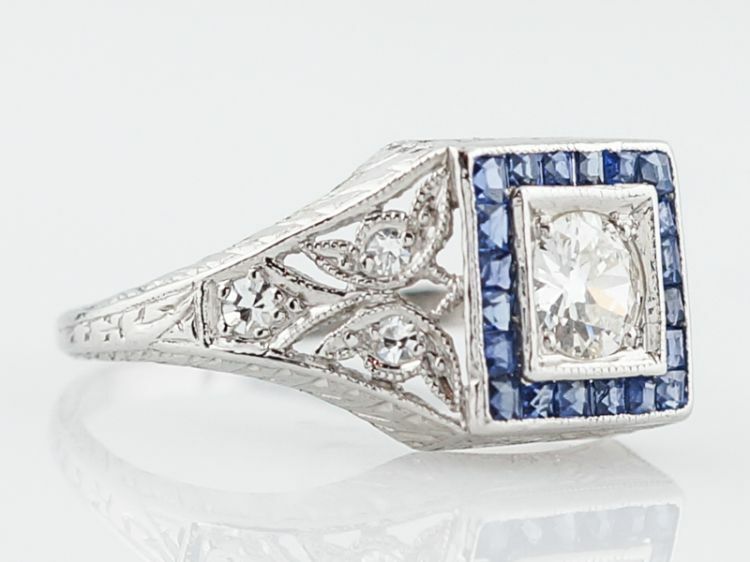 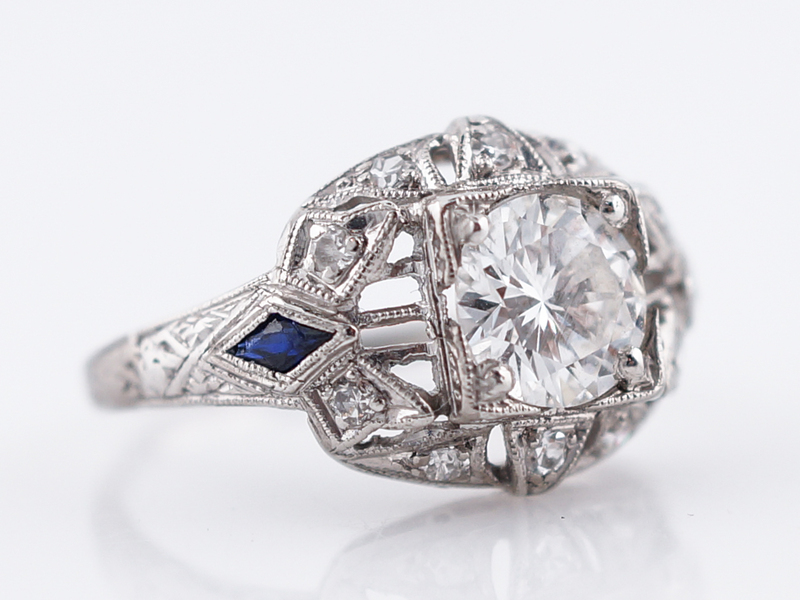 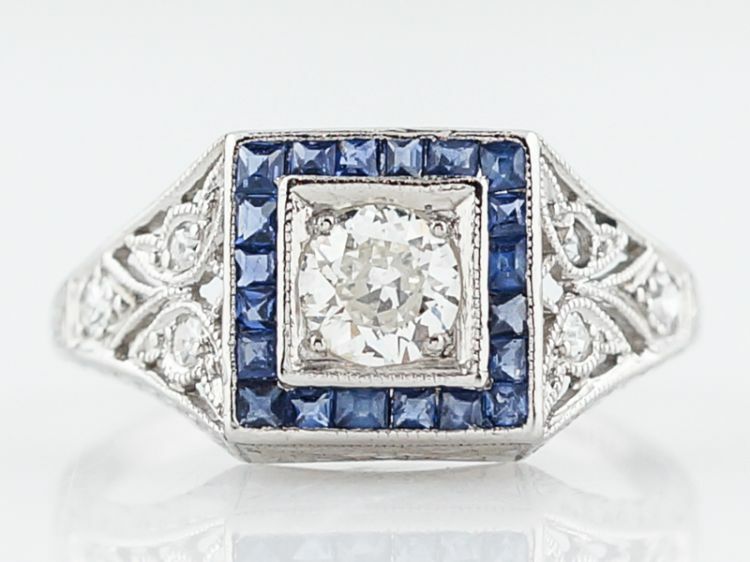 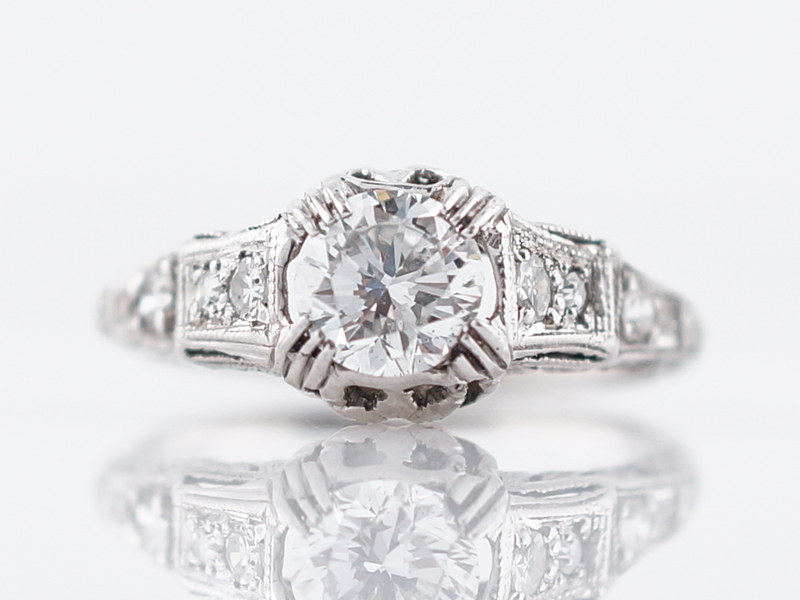 A beautiful Retro period engagement ring!